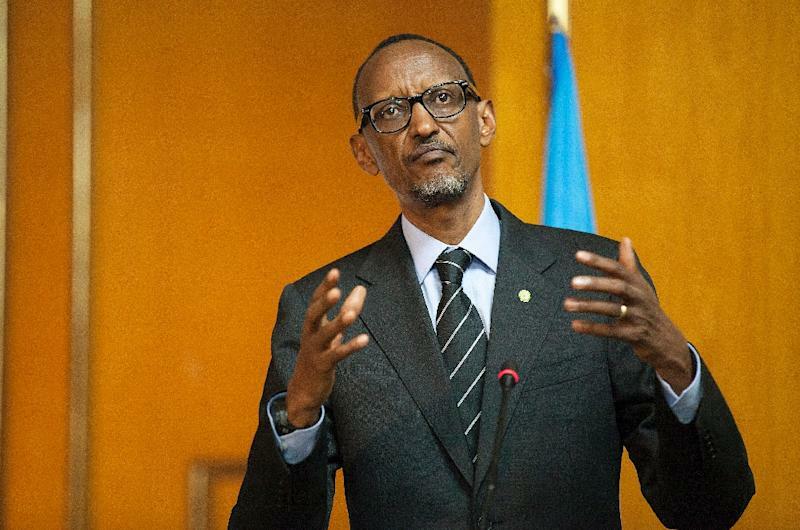 Kigali (AFP) - A Rwandan ex-army captain was found guilty Tuesday of a "public insult" for alleging that President Paul Kagame had targeted disappeared opponents but was acquitted of the far more serious charge of "inciting revolt", his lawyer said. "My client was sentenced to five months' imprisonment for public insult, but the court did not accept the charge of inciting insurrection," defence lawyer Gilbert Ndayambaje said. Retired captain David Kabuye, who served six months in prison last year for illegal weapons possession, was rearrested in March on charges of "inciting insurrection and insulting senior government officials" while he was behind bars. The prosecution alleged that Kabuye had said Kagame "got rid" of opponents, some of whose bodies were found in a lake bordering Rwanda and Burundi. But the court found no evidence he had made the "defamatory statements" in such a way as to make him guilty "of inciting the population to insurrection," Judge Timothee Kanyegeri said. Kabuye had faced up to 15 years in jail, but after convicting him of the lesser charge the court ordered his release, with his time spent in detention covering his five-month sentence. Kabuye, husband of a former head of protocol for Kagame, denied all charges and claimed they were politically motivated. He was first arrested last year along with two other Rwandan military figures.